There are many places online and offline where to buy injectable testosterone; however, one must be very careful as to whom they trust. 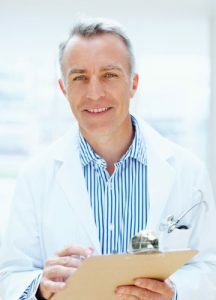 The smartest way to participate in testosterone replacement therapy (TRT) is to work with a clinic that is very well known, trusted, reputable and that has a successful track record – a clinic such as HT Medical Center. The reason that these places and people are not recommended as where to buy injectable testosterone is because they cannot test, diagnose or prescribe. It is not legal to get these kinds of shots without being diagnosed with low T by a licensed doctor. In addition, a licensed physician needs to write a prescription, a treatment plan and medically monitor therapy in order for it to be legal – and safe as well. Where can I buy injectable testosterone and avoid being scammed is a very common question and everyone interested in TRT should be asking this. We have outlined a simple three (3) step process of getting testosterone injections safely without the worry of a person or company being scandalous. Make sure that the clinic you choose is highly reputable. This means that they have had a ton of success in helping many people to increase and balance their testosterone levels. They should have been in business for decades, stay up on the latest literature in TRT and have positive reviews and testimonials written about them. (You can usually ask your clinical advisor to share these with you). In addition, these clinics are often recommended by other professionals in the medical field. Call the clinic of choice that has been recommended or that you found online through their highly informative website. Be aware that many clinics can make their websites look great, but they are not really following the law or do not work with licensed doctors. Use your best judgement and your gut intuition if the clinic is not recommended by someone you know. Speak with the clinical advisor about how the clinic operates, what is involved in TRT and share your symptoms. Get a feeling for the professional helping you on the phone and see if you are comfortable with them. They will be helping you throughout your treatment program protocol, so you should have a great rapport with them. If your gut says that something is not right, follow it and move on. Make sure that the clinic you choose follows everything outlined for an honorable clinic as mentioned above. Never work with a clinic that is not completely transparent with sharing information and answering questions. If you feel at all uncomfortable with a clinic, do not use them. Never buy injectable testosterone from overseas or from any clinic that seems shady in the least. This is how people get scammed. Every day, clinics open up their websites online, get customers to give money for injections that they will never see and then they close up and are never to be found again. They may also send you injections of testosterone, but the shots are not real and can even be quite dangerous. Make sure the clinic you choose to use has been in business for decades. They should have the proof to show that they have been helping people to balance their testosterone levels for a healthy life way into their golden years.